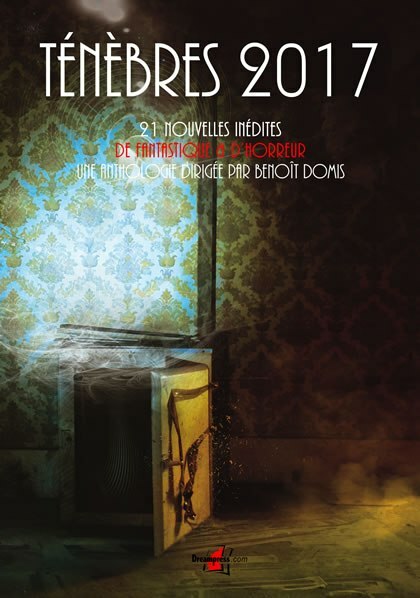 My weird tale about a guy waking up in a '70's hotel room with no way out has been translated into French and appears in the latest edition of Ténèbres, an annual horror anthology that has featured the likes of Stephen King and Orson Scott Card over the years. "What Do You Need?" was originally published in the Dark Visions anthology back in 2013, but now it's "De quoi avez-vous besoin?" thanks to translator Christophe Cuq. This is the first time any of my work has appeared in French, and while I'm stoked to receive a contributor's copy, I'm afraid I won't understand a word of it. But if you happen to speak or read French, you can grab yourself a copy here. I'm honored to appear in this fine publication, and I hope many new readers will enjoy my story in their own language.